At a recent (admittedly late) Tuesday evening in the Bull, the discussion moved on to “What is a Nutmeg?” Opinion was divided – well actually it was Mike C vs The Rest Of The World. 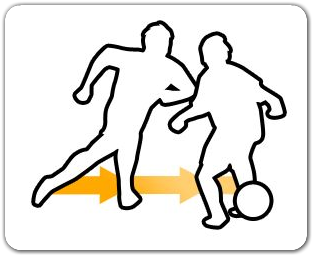 Mike C reckoned a Nutmeg occurs when you push the ball between a player’s legs, and then nip round him and take repossession of the ball and carry on playing. Everyone else thought a Nutmeg was simply the action of passing the ball through other player’s legs. What do YOU think? Have your say by simply leaving your comment in the box below. If the text box is not visible please click on "more" at the bottom right hand of this section. To respond, simply leave your comment in the box below. If the text box is not visible please click on "more" at the bottom right hand of this section. Play on the artificial pitch at Alleynes. 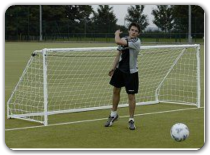 Facilitates anything from 5 - aside upwards, depending on how many turn up to play. It's a good pitch (except for the grazes) but it does not help our funds.